PETRA Black set. 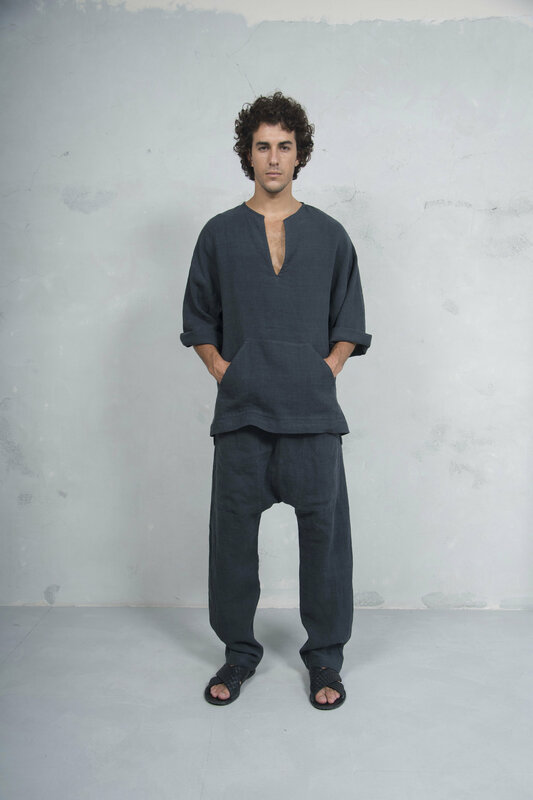 Tunic and harem pants. 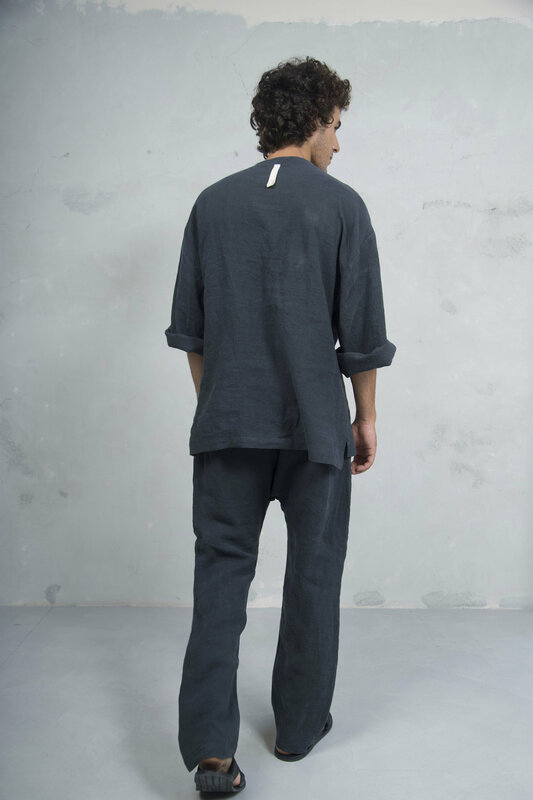 Pure pre washed linen. Sold also separately. 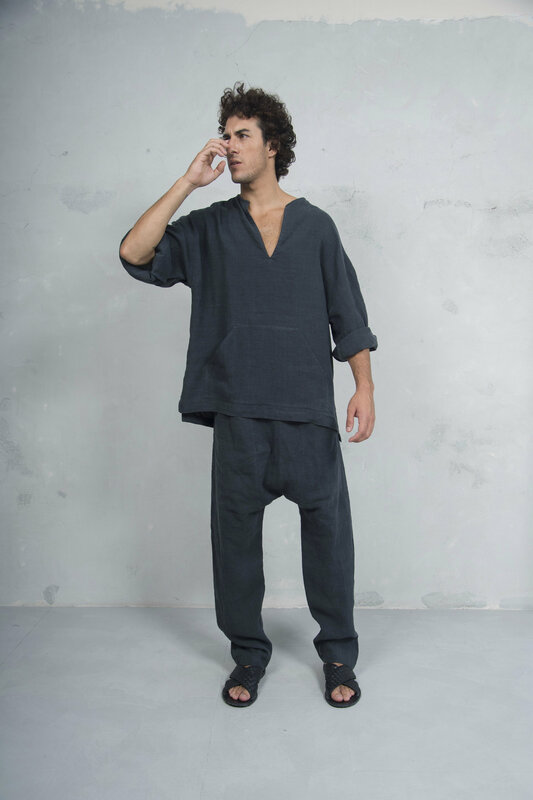 Elegant loose trouser suit, made of extra soft woven pure linen. The pants have an elastic band waist. NO BUTTONS, NO BUTTONHOLES, NO ZIPS. 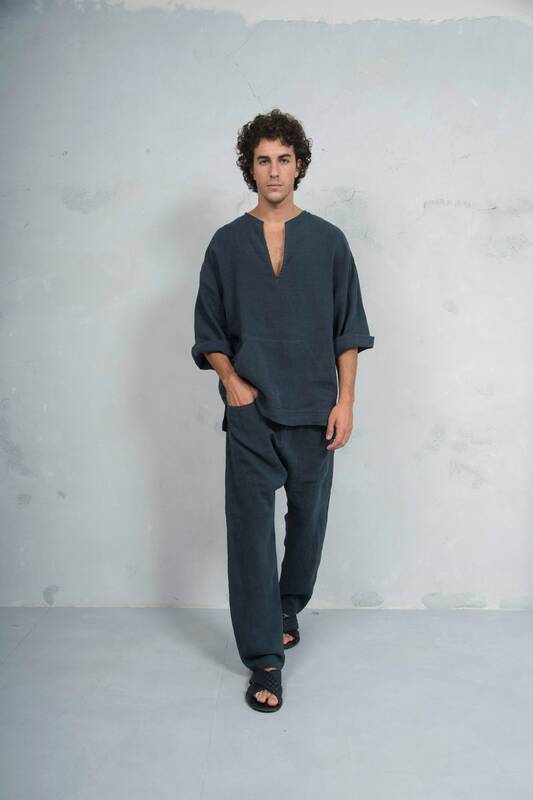 The model appearing in the photo is size M and 187cm (6’3”) tall . He is featuring an M size suit. 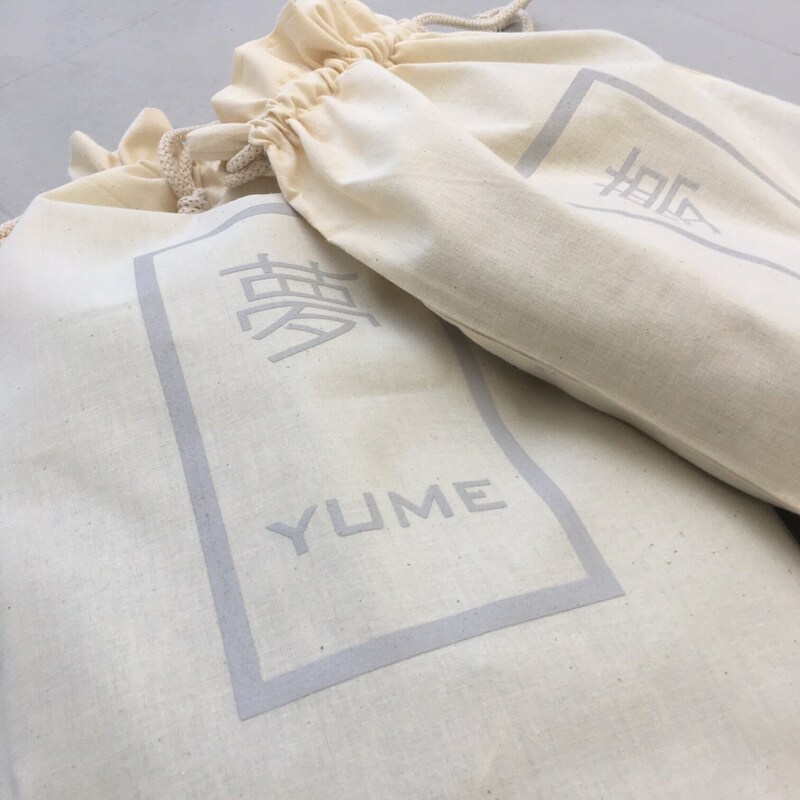 Thank you for shopping from YUME.